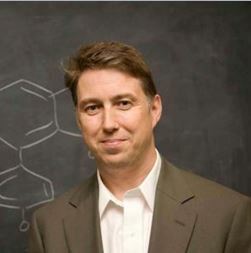 Dr. Paul T. Anastas is co-founder of Sustainability A to Z, LLC. He is the Teresa and H. John Heinz III Professor in the Practice of Chemistry for the Environment at Yale University and is currently Director of the Center for Green Chemistry and Green Engineering. From 2009-2012, Dr. Anastas served as the Assistant Administrator of the US Environmental Protection Agency’s Office of Research & Development and Science Advisor to the EPA. Prior to coming to Yale, Dr. Anastas served as Director of the Green Chemistry Institute in Washington, D.C. from 2004 -2006, and lead the Environment Division in the White House Office of Science and Technology Policy, where he worked from 1999 – 2004. Trained as a synthetic organic chemist, Dr. Anastas received his Ph.D. from Brandeis University and worked as an industrial consultant. He is credited with establishing the field of green chemistry in 1991 during his time working for the EPA. Dr. Anastas has published widely on topics of science through sustainability, such as the books Benign by Design, Designing Safer Polymers, Green Engineering, and Green Chemistry: Theory and Practice.